If you want to be fit for the bike in spring, you have to lay the foundation in winter. This philosophy holds true for us girls as well as for the men. It is scientifically proven that women, unfortunately, put on weight more quickly due to their higher body fat percentage. In addition, our metabolism also requires longer to reorganize again in the spring. That means we have to pay more attention in the winter months to our nutrition, so that we don’t have to pay for each cookie at the start of the season. A training plan brings structure to our sports program, and helps us achieve more efficient training effects on the body. A good exercise plan can be tailored from a sports medicine institute. It is based on a performance test, but should also consider the psychology of the individual. Because women are more emotional than men, a good plan should not exert a blunt training constraint, but should keep us entertained with diverse methods. Nevertheless, time and structured training content is important. The premise is not to train every day, but rather to respect the principles of a training load and rest days. You don’t have to torture yourself outside in the worst weather conditions in order to drill your basic units to follow your plan. It’s better to advance a rest day due to the fact that motivation is the basis for reasonable training. A relaxing sauna or a yoga class is a benefit for the muscles and can cause more than a forced workout when body and mind are reluctant. Above every workout plan is always your own body’s state. If you feel tired and worn out, you should allow yourself a break. Additionally, the sport you train with for basic endurance plays a minor role. I personally really like the winter months, since I can focus on other sports. This can also compensate muscular imbalances, as muscle groups get trained that are otherwise normally neglected. The most important thing in training is that it should be fun! Therefore you can subordinate to this goal a lot. If you stick to the general guidelines of your plan and allow for some flexibility, you’ll train more effectively and start the season in a more motivated fashion. 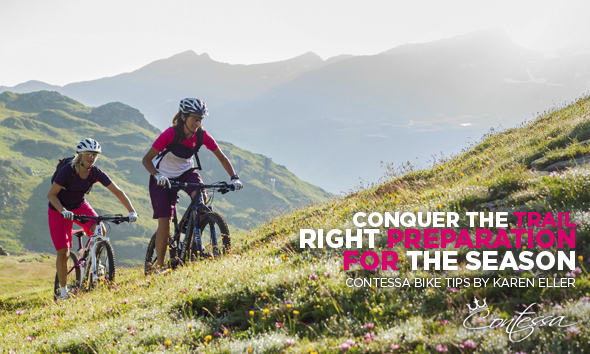 Biking, jogging, cross-country skiing, ski touring or trail running - sometimes it’s simply the weather or the conditions that decide the specific activity. Ski touring for example is a perfect strength and endurance training for a biker. Together with a friend you can turn your coffee party into a nice afternoon with sunshine and powder. When ski touring, similar muscles get strengthened as when biking and the fresh air is perfect for the soul. Also skating or classic cross country skiing are good alternatives to biking. Back, shoulder and arm muscles get trained and as a positive side effect your body burns a lot more calories. Trail running is a good compensation too, as it as a basic endurance activity. On hill climbs, thigh and gluteal muscles are required and if you‘re prone to knee problems, just take the gondola down. 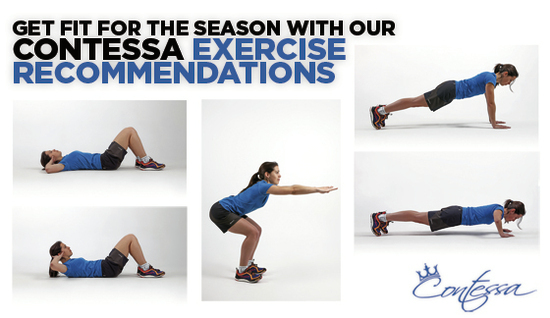 This also helps avoid the uncomfortable soreness in the calves. If you don’t have mountains right out your doorstep, just go jogging or Nordic walking. Neither requires a huge amount of effort and are very effective. So let's go girls, the bike season is starting soon!